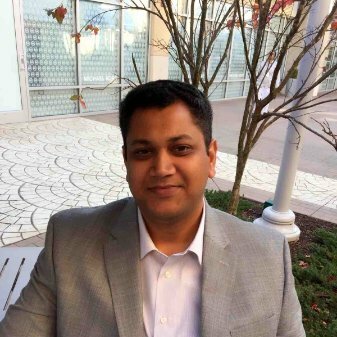 Dr. Saurabh Mittal is Chief Scientist for Simulation, Experimentation and Gaming Department at MITRE Corporation, Vice President-Memberships and member of Board of Directors for Society of Modeling and Simulation, International (SCS), USA. He received a Ph.D. (2007) in Electrical and Computer Engineering (ECE), with dual minors in Management Information Systems, and Systems and Industrial Engineering, and has M.S. (2003) in ECE from the University of Arizona, Tucson. He brings extensive experience in modeling and simulation-based systems engineering, complex adaptive systems thinking, formal systems M&S, model-based engineering using DEVS formalism, cyber physical systems, and leading associated research endeavors. He contributed to M&S efforts at National Renewable Energy Lab, Department of Energy, Golden, Colorado; Link Simulation & Training at 711th Human Performance Wing, Air Force Research Lab, Wright Patterson Air Force Base, Dayton, Ohio; Northrop Grumman Information Technology at Defense Information Systems Agency, Ft. Huachuca, Arizona and at the University of Arizona, Tucson. He serves on the Editorial boards of Transactions of SCS, Journal of Defense M&S and Enterprise Architecture Body of Knowledge (EABOK). He served as General Chair, Vice General Chair, Program Chair and Awards Chair for Spring and Summer Simulation Multi-conferences sponsored by SCS over the 2013-2018 period. He continues to stay involved as Steering Committee member for SCS conferences. He also continues to serve as the founding Track Chair for Symposium/Track on Complex, Intelligent, Adaptive and Autonomous Systems (CIAAS) for SCS conferences and the Winter Simulation Conference. He has contributed nearly 100 peer-reviewed articles including three books titled Emergent Behavior in Complex Systems Engineering: A Modeling and Simulation Approach", Wiley and Sons (2018), Guide to Simulation-based Disciplines: Advancing our Computational Future, Springer (2017) and Netcentric System of Systems Engineering with DEVS Unified Process, CRC Press (2013) that serve the areas of emergent behavior, complex systems engineering, executable architectures, parallel distributed simulation using Service-oriented Architectures, System of Systems engineering using Department of Defense Architecture Framework (DoDAF), multiplatform modeling, intelligence-based, complex, adaptive and autonomous systems, and large scale M&S integration and interoperability. He is a recipient of Outstanding Professional Contribution Award (2017) and Outstanding Service Award (2016) by SCS. He also received the highest civilian Department of Defense (DoD) contractor recognition “Golden Eagle” Award (2006) and Herculean Effort Leadership Award from the University of Arizona (2004).